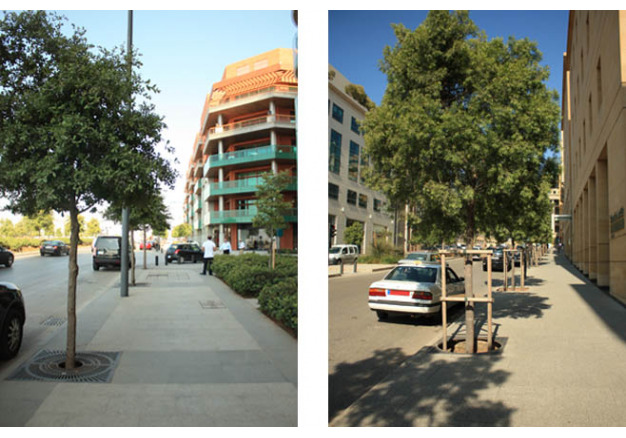 Commissioned by Solidere to create the mandatory landscape setbacks in Beirut City Center, landscape guidelines were proposed to harmonize and regulate the treatment of hard and soft scape areas in the urban fabric spanning 1.9 ha with a built up area of approximately 4.69 million square meters. 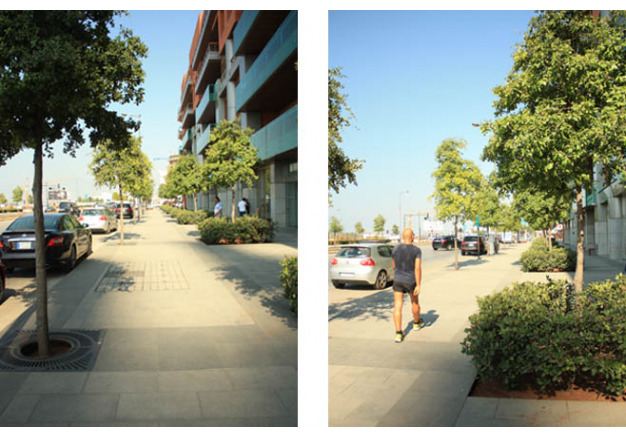 A focused study of the landscape setback was carried out for each concerned development block including setbacks of 2.5, 3.5, and 4.5 meters wide, to create a visually and spatially harmonious composition linking the private setback and public pavement, through the use of a grid working from the faï¿½ade to the pavement aiming to integrate and a unify the character of two adjacent spaces. 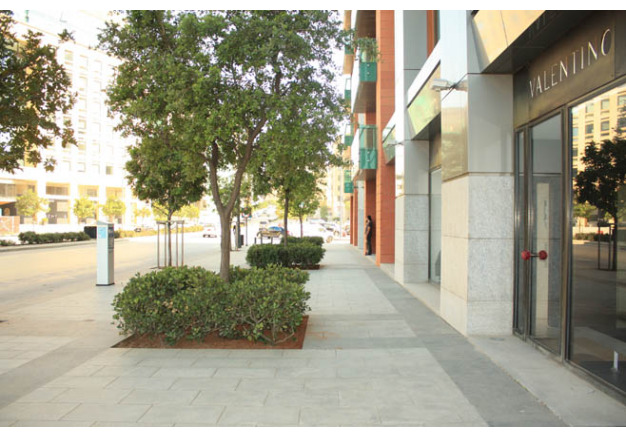 The intervention is based on a grid pattern that could be manipulated and adjusted according to the specific requirements of each development block. 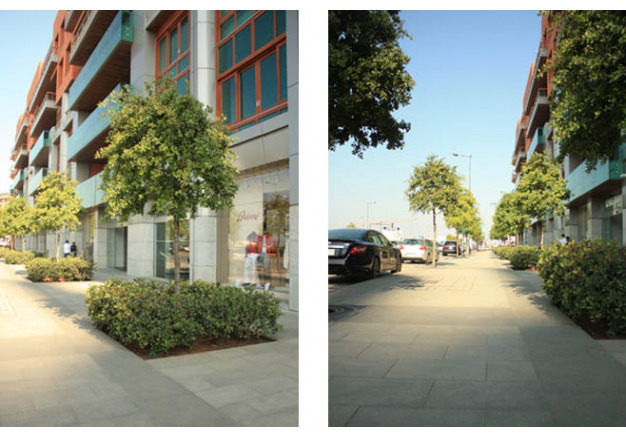 The setback landscape design concept follows and extends the public sidewalk grid into the private blocks to combine them creating a relatively larger space with pedestrian priority and better streetscape views. 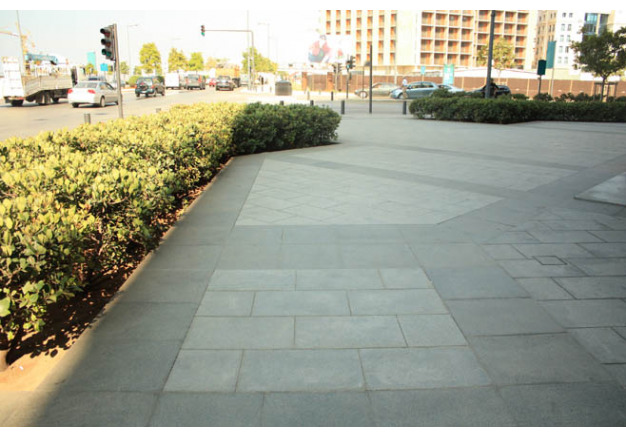 The guidelines incorporate using two tiling materials including dark and light colored granite, where the boundaries of private property are identified through the 60cm wide dark grey granite strip running along the lot limit. 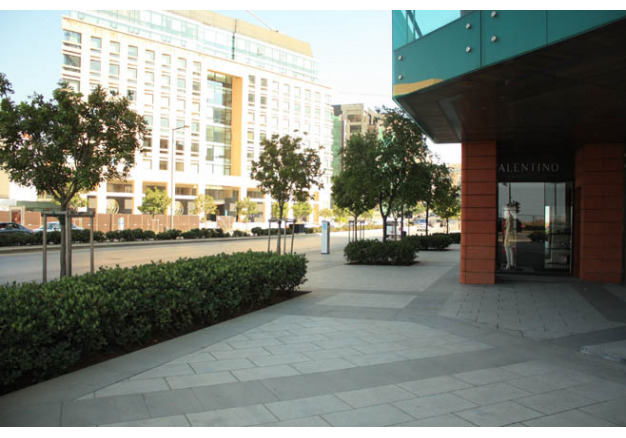 In addition to the hardscape sidewalk tiling pattern, the softscape intervention consists of an internal row of trees of the same species, along with a second row of trees to provide proper shading to the streetscape and reinforce a pattern perpendicular to the buildings elevation. These green elements create a hybrid of hardscape and landscape adding more definition to the private space as well as both visual and physical connectivity.